I received this from Hachette Children's Books in exchange for an honest review. As always, my reviews are fair and non-bias. For sixth-form student Grace Becker, The 100 Society is more than just a game; it's an obsession. Having convinced her five friends at Clifton Academy to see it through to the end, Grace will stop at nothing to carry out the rules of the game: tagging 100 locations around the city. With each step closer to the 100-mark they get, the higher the stakes become. But when the group catches the attention of a menacing stalker - the Reaper - he seems intent on exposing their illegal game, tormenting Grace with anonymous threats and branding their dormitory doors with his ominous tag. I'm not usually the type of girl to watch a lot of thrillers in TV, mostly because scary movies scare me easily, but when it comes to literature, it's practically the most engrossing thing I can read. So I was super happy to get to read The 100 Society (thank you, Hachette!) because it played right into everything I like in a mystery; a group of friends, a game and... a killer. Grace knows the stakes are high when it comes to The 100 Society. But she wants it more than anything, so it doesn't stop her. But The 100 Society is a coveted thing, and not all that enter make it to the full 100, so roping her friends in wouldn't just be for Grace's benefit. It would help them too, getting them recognition. But when someone is watching them on one of their latest tags, not too shy of 100, the scare factor is amped up when they notice that the person wasn't just watching. They were stalking. Grace tells her group of friends, who are pretty much all Art fanatics working on their latest projects for a showcase, that they can make it to 100 despite everything, that no group has ever done the full 100 easily. Her brother couldn't even make it. But she didn't expect things to get even worse. Now their stalker has a name; the Reaper. And he's determined to crush Grace's dreams of being in the 100 Society, even if it means taking the group down too - and when the stalker seems too close to home, the group find that it might even be one of their own. Or someone just close enough. When a member of the group gets seriously hurt, and a classmate dies, it seems like things are only just beginning. Grace can't turn a corner without thinking the Reaper is close, with the encounters, texts and calls becoming more disturbing by the minute. All she could do was try to unmask the Reaper, but when it's showcase day at the Academy, it seems she's running on little time to save the ones she loves the most. For some, it was too late - but Grace was determined not to let anyone else die. If she could stay alive herself. The biggest reveal ever came with the Reaper's unveiling. I never would have guessed - I changed my mind who the Reaper could be more than once during the novel - but this person never even crossed my mind. The 100 Society was enthralling, electrifying and exceptional (all E's!). It's one of the best YA Thrillers I've ever read and I was glued to the pages for hours, gripped by the compelling need to find out the identity of the Reaper. I literally took the book everywhere with me, reading when I could. 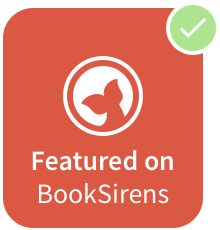 You do not want to miss this book - it's a psychological thriller like none other. Grace and Trick moments! And of course, when we finally find out who the Reaper is. Anyone who likes Young Adult thriller/mysteries, with a twist. Even if it's not your usual genre, The 100 Society will surprise you. 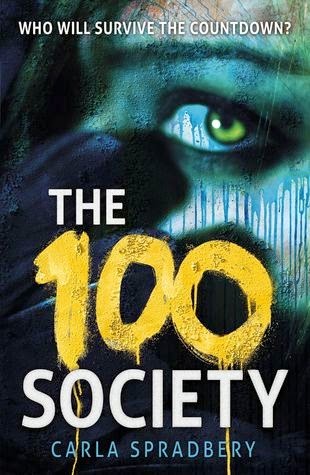 Have you read The 100 Society? I enjoyed it, though it isn't my favourite thriller around, thought it was a little predictable (though, I do read a lot of them, so that's probably why) but overall enjoyed it. Loved that there was actual threat behind the threats too, if that makes sense. I've read so many that's supposed to be intense and dangerous that don't make good on that. So yay, The 100 Society! I absolutely loved this book, it reminded me very much of the Point Horror books I was obsessed with (still am) in the 90's, thrillers are probably my fave genre.